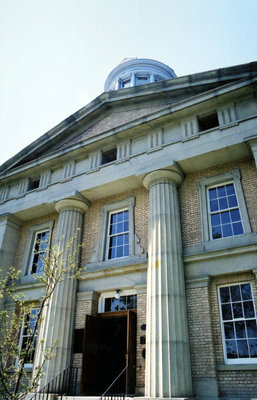 A colour photograph of the Whitby Centennial Building. View is of the front entrance. Grand Reopening of the Whitby Centennial Building, June 14, 2003, Photographer Unknown. Whitby Archives A2013_033_003.